The shortest hole is 80yards and the longest 165 yards over two lakes and a stream!! 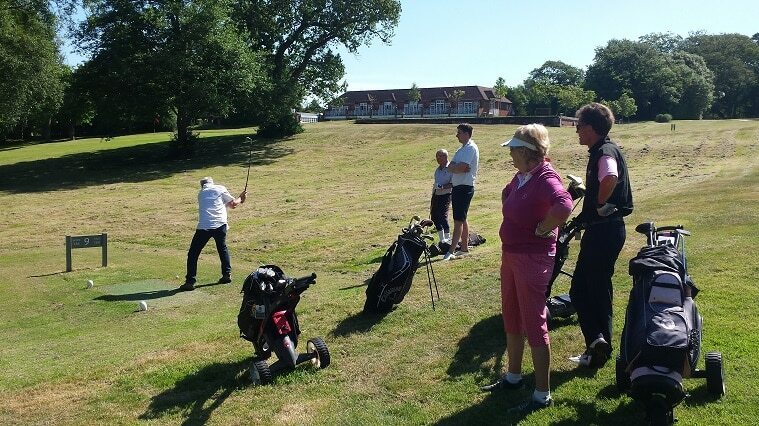 Continental breakfast will be served at 7.30am so we can have shotgun start for all competitors at 8.30am. 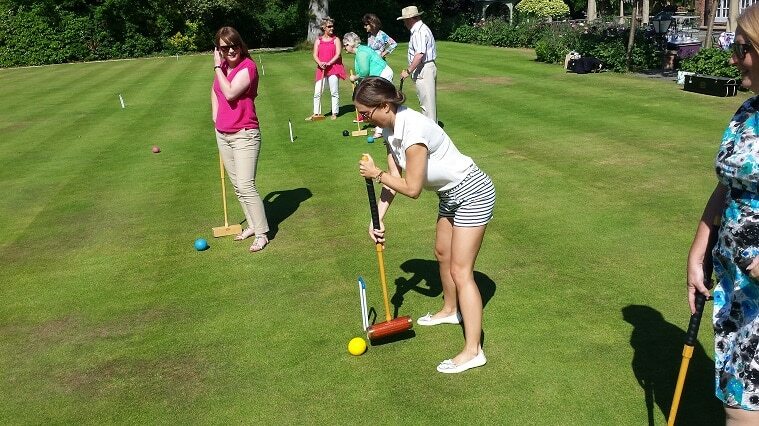 The Croquet has become popular over the last four years, particularly as Chewton Glen has the most brilliant croquet lawn in front of the most perfect setting. It is a chance for the ladies to show their skills against the gentlemen. Again this year Martin Dock will be organising the Croquet. Our long serving member Keith Sansom of Alexander Keen will be putting up an appropriate cup for the “Croquet player of the day.” The day is an opportunity to bond with your guests, who are always welcome in this event. All this fresh air will, of course, summon the appetite for a good lunch. For those members who cannot make the sporting morning, lunch will be as normal with the reception at 12noon onwards. Prizes will be presented over lunch. Our Co-ordinator Tricia Percival will be sending all the members an entry form for both sports. This entry was posted in News and tagged 2016, sports day on May 24, 2016 by splice.